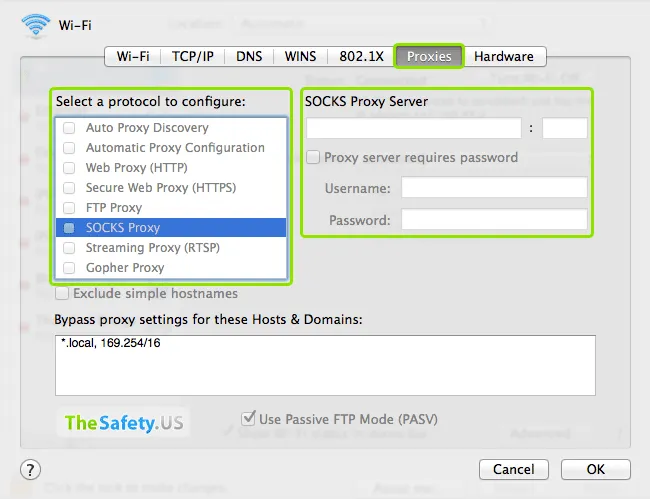 To configure HTTP or Socks proxy in Safari on Mac OS X, perform the following steps. Opens the Settings window directly by the operating system Mac OS X. Write the IP address and port of the proxy. If proxy authentication supported, also enter the username and password. If the form is not available for editing, you should press "Cancel" and in the opened window click on the lock icon. To make changes to enter a password of your account of the operating system. And then press the button "Advanced" for your Internet connection. When using an HTTP proxy authorization, a window with a login and password will be immediately as soon as you try to access any website on the Internet. Browsers do not support Socks proxy authorization. In such cases it is necessary to use a special program. For example, Proxifier. More about configuring Proxifier in Mac OS. 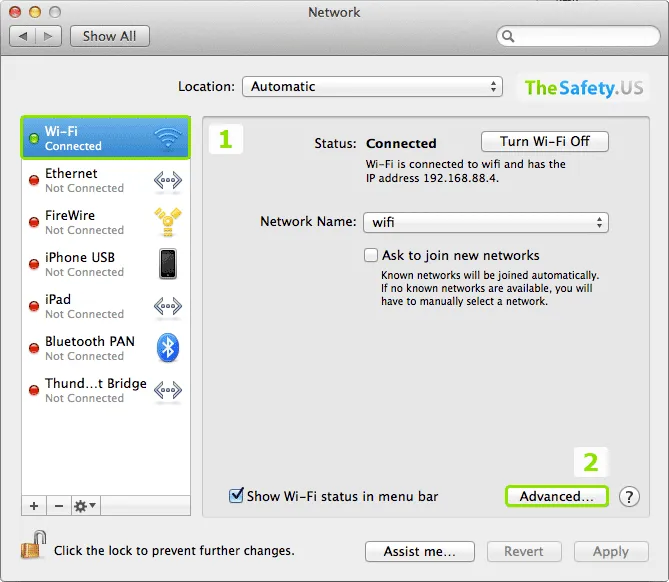 It should be noted that the proxy settings is made directly in the operating system Mac OS. If you use a VPN, it may be undesirable situation when the traffic goes to the first proxy server and then only on VPN (chain: Proxy + VPN). While the best option in terms of security and anonymity is considered chain: VPN + Proxy. The best option to solve this problem is using a special program Proxifier. Or need to use a browser that supports proxy configuration directly in the browser. More about configuring proxy in Firefox in Mac OS.